All of the above can be done for a specific breakpoint (e.g. Phone, Tablet, Desktop). Also, you can specify custom breakpoints and emulators that will allow you to see how your page will look on multiple devices. Now we will show the steps necessary to enable responsive layouting in AEM. We will be using “myapp” as a placeholder for the name of your application. 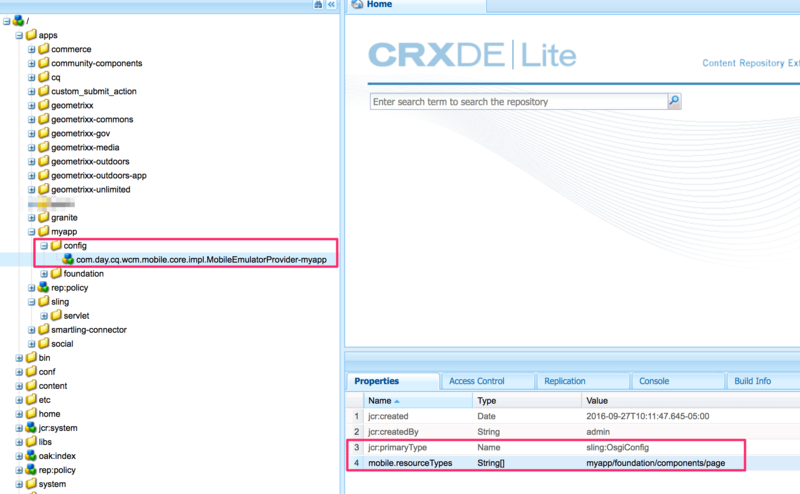 Notice that we should specify an alias after com.day.cq.wcm.mobile.core.impl.MobileEmulatorProvider-. Add the following property to the root page’s jcr:content node (e.g. /content/homepage/jcr:content) or it can be added to jcr:content node in the page’s template. 2. The jcr:content node of your page. Below /apps/myapp/components/emulators create the component with the name you want e.g. “myemulator” (node type:cq:Component). Name = canRotate, Type = Boolean, Value = true to include the rotation functionality. Name = touchScrolling, Type = Boolean, Value = true to include the touch scrolling functionality. 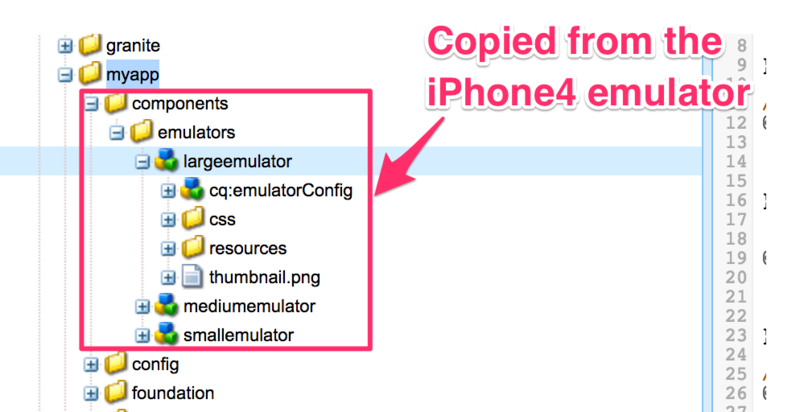 The second and easier option is to copy the emulator of the iPhone4 (it is the most complete) located in libs/wcm/mobile/components/emulators/ios/iphone4 and copy it in the /apps/myapp/components/emulators folder you created. Then modify the css in css/source/emulator.css by replacing the “iphone4” string with the name of the custom emulator. Then add the emulator in http://localhost:4502/etc/mobile/groups/responsive.html. First select “Edit” then click on the tab “Emulators”. After that click on “Add item”. Finally, select your newly created emulator in the dropdown. On the cq:emulatorConfig node the height and width corresponds to the double of the value shown in the emulator. So if you emulator is 1200px wide you should set the “width” value to 2400. The same applies for the “height” value. If the emulators are made with the exact value of the breakpoints, then the breakpoint markers in the emulation bar will not appear as activated. In that case you can make the emulators 1 pixel smaller. For example, if you have a 1200px wide breakpoint then your emulator width should be 2398px wide ((1200 – 1) * 2). We hope this tutorial has helped you understand how to use responsive layouting within AEM. Thank you for reading!